The first thoughts that come to mind about San Francisco and the Bay Area are historic: the Golden Gate Bridge, cable cars, steep hills, and the eclectic architecture. Freas Plastering Company, headquartered in Concord, California, has been an important part of constructing the interesting architecture, which makes San Francisco and its surroundings unique. Don Freas started his union institutional and commercial plastering company in 1990. “It was a dream of mine that came together in 1990,” says Don Freas, president. Freas’ desire to open his own plastering construction company dates back to the early 1980’s. Freas began his plastering vocation in 1969, serving a four-year union plastering apprenticeship in San Francisco. “Before I began my company, I worked primarily downtown San Francisco for 20 years for several major union plastering and drywall contractors,” says Freas. During most of his years as an employee, Freas also had the opportunity to work on projects as a supervisor in the Greater San Francisco Bay Area, which includes the economically well developed Alameda, San Jose and Contra Costa Counties. “I got into different management roles for larger companies, and I did that up until I started my own business,” he explains. Due to his experience on numerous types of commercial projects and his leadership roles, Freas felt he had the expertise and desire to begin his own plastering construction company. Freas Plaster Company,Inc. primarily does wall work including interior and exterior lathing, plastering, and decorative finishing. This company is known as an expert, fully equipped, and certified spray on fireproofing applicator as well. Freas feels fortunate to be an all union company. “We only have union employees, we strive for quality work done in the most efficient manner, and we believe in using quality people doing the work,” says Freas. In addition to focusing on strenuous training requirements, Freas credits his company's success to its ability to handle a diversity of project types. Since his firm’s inception, their main focus has been the public sector. The company handles state and city government building projects, public schools, libraries, and other public building jobs. “However, over the last few years we have ventured into several large mixed-use projects,” say Freas. Typically, the mixed-use projects that Freas Plastering tackles are large condominium developments with retail space in the lower level and living quarters. “Mixed-use projects have been the bulk of our work the last few years,” says Freas. 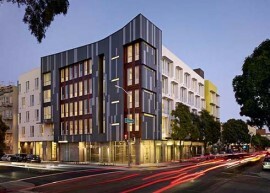 Along with its mixed-use buildings, Freas Plastering has had a hand in shaping many new high-profile buildings in the Bay Area landscape, as well as revitalizing the city’s glorious landmarks. For example, Freas has restored the 19th century-era molding plaster of several historic facilities. “We got to restore some of the ancient plastering up at the State Capitol Building, and that was so interesting— at least in the plastering world,” he jokes. Listed on the National Register of Historic Places, the capitol building in Sacramento features neoclassical plastering molding. At Fisherman’s Wharf, Freas’ firm did the plastering for the newly expanded facility for the world-famous Boudin Bakery. This historic tourist attraction dates back to the Gold Rush era. Freas Plastering is has recently restored the plaster at the "Palace of Fine Arts". This historical land mark was originally constructed in 1915 is located in San Francisco's Marina district. An example of a more modern project by Freas is some of the fireproofing @ the AT&T Park in San Francisco, home of the San Francisco Giants. 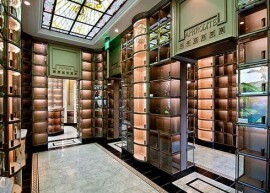 Built in 2000, this deluxe stadium features an astounding 68 luxury suites. Freas’ company also did the plastering for the Golden State Warriors training facility in downtown Oakland. 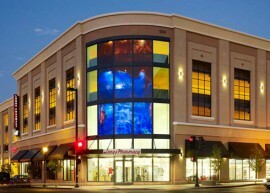 Freas is currently involved in several large plastering and fireproofing projects for the same general contractor that had played a part in creating the upscale shopping center, Santana Row, in San Jose, California. Designed as Northern California’s answer to Rodeo Drive, Santana Row is the epicenter of high-end retail, restaurant, and condominiums. This firm also performed some of the plastering work in key areas of this high-profile development. In recent years, the slump in the housing market has impacted the entire Bay Area construction field. “The biggest change has been the drop in the housing market, so that makes it very hard to do housing, including commercial multifamily housing,” says Freas. 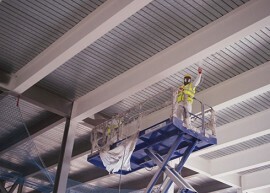 Despite the slowdown of the region’s construction industry, Freas Plastering’s wealth of expertise has helped the company to weather the economic storms.